How to choose a ham for a gift, for home or for an event? We help you choose the ham that best fits your tastes, preferences and budget. In what format do I want my ham? Low budget: Shoulder ham Serrano Gran Reserva. Mid budget: Shoulder ham cebo. High budget: Shoulder Ham Bellota Salamanca and Extremadura. 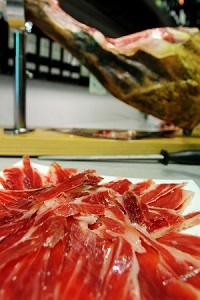 The best: Shoulder Ham Bellota GR or Summum. Low budget: Serrano Gran Reserva Ham. High budget: Bellota Salamanca and Extremadura Ham. 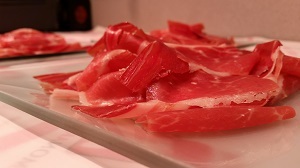 The best: Bellota GR or Summum Ham. - If your ham is going to be the main dish, or there will be other meals. - If your budget is high or moderate. It would be better if you specify the amount. - If you want it cut, boneless or a whole piece. Contact us with the information above and we will send you a personalized budget. 4. In what format do I want my ham? Whole: If you are someone who likes to cut it and enjoys the ritual of cutting ham. Boneless: If you prefer to have your ham deboned as it is easier to cut, or because you eat it as you consume it, or you own a machine for cutting sausages. Cut in slices: If you simply do not want any complications, open it and eating it at the moment and want to keep it in the fridge without problems. Do I like it with more or less fat? With a little more of fat: And therefore, more tender and mellow. It is suitable for those who take longer to consume or eat a ham. With less fat: This type of ham is cured, less mellow and a stronger flavor. It is recommended for those who consume it in a short time. 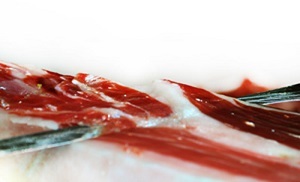 As additional information, an Iberian ham will always have more fat marbling that a serrano or cellar one. When making your purchase, in the cart section you can point out your preferences (more or less fat). By this way our experts will choose the most appropriate ham for you depending on the product stock. We prioritize a quality product among to one that slightly has more or less fat, always within acceptable limits. What weight should I choose for my ham? Our advice is that is always better to choose a large ham or shoulder, since the ratio of meat and bone is greater. We try not to sell very small pieces because they can disappoint the customer. Shoulder hams best between 4.5-6Kg. How should I choose my ham origin? What are the differences between origins? When it comes to choose a ham origin, you should know that all our products are selected among the best pieces of each origin. Yet there are always small differences between each ham processing areas. From Huelva and Extremadura. They present a more intense flavor and aroma due to their climate and curing process. 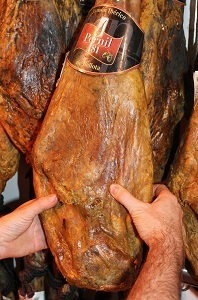 Iberian products use to have a little more fat so they are very juicy. From Salamanca. Its flavor is more smooth and fruity. They also tend to have less fat proportion.